“Kimimon?” A voice called from behind her. “Wizardmon, what are you doing up here?” She asked, turning to look at him. “I was looking for you, and remembered that you liked to come up here sometimes.” He answered, going to sit beside her. Kimimon smiled, scooting closer to him as her tail swayed gently behind her. “What’s that around your neck? Is that your crest?” He asked as she nodded. “I have been up here thinking for a few days, ever since I received this thing.” She explained, gently laying her head on his shoulder, making him blush. “What have you been thinking about?” He asked curiously. “I have been thinking about going to Earth and finding the person this belongs to so they could help me.” She told him. Wizardmon looked at her; Kimimon sighed a little then sat up, grasping the crest in her hand as her other swept across the sky. “Look.” She said pointing, making a slightly large portal in front of them. “Over the years, so many digimon have found their Digidestined, only to return here and possibly never see them again.” She began. “I remember Gatomon’s return; she was okay, but she missed Kari so much. Agumon, Patomon, and even Gabumon admitted that they missed their friends.” Kimimon explained as Wizardmon looked at her with understanding. “And because of that, you want to help them.” He finished, Kimimon nodded. “I wish to help ALL of the digimon. And I think I may know how but I need help.” She informed him. “Not just from everyone here in the Digital World but, from the Digidestined as well.” Kimimon stood up. “I know what I am capable of, I just need help to achieve it.” She said, turning to look at him. “I want to bring both worlds together so all the digimon can live peacefully with the humans. Without having to be sent through, what the humans call the internet.” Kimimon smiled widely. “After her! Don’t let her get away!” A voice called as Kimimon ran down the mountain. “We can’t let her reach the portal to Earth!” Another voice exclaimed. “Kimi, are you sure you want to do this?” Wizardmon asked. “Yes, I’m tired of seeing my friends so miserable when they return here Wizardmon! I HAVE to do SOMETHING to help them.” She answered. Wizardmon had walked over to her and took her hands in his own. “I know, but trying to combine both worlds is dangerous. Are you sure you can handle it on your own?” He wondered, looking into her beautiful amber eyes. Kimi nodded. “I won’t be alone for long. If I can find the human that this crest belongs to, I’ll have enough help to get by.” She answered. 'I’m almost there! I’m so close! Please don’t let them catch me now!’ She thought, running faster and faster, trying to make her way towards the portal as fast as she could. Getting closer, she almost made it before Barbamon stopped her. “Where do you think you’re going?” He asked, his voice sounding old and demented. “Where I am going is of no concern to you Barbamon.” Kimimon answered. “Oh really? It seems to me like you’re trying to get to the portal.” He said, hovering close to her. “So what if I am?! What are you going to do about it? !” She said putting up the most convincing brave front she could muster. Barbamon chuckled. “I’m afraid I can’t let you do that.” He said. “You see, we know your plan.” He said, moving closer to her. “And I won’t allow you to bring both worlds together, just so your friends can see their tamers.” He said, pointing his staff at her. ‘No, not yet. Not when I was so close.’ She thought, closing her eyes tight. “Electro Squall!” A voice rang out, a sudden blast of lightning shot towards Barbamon. “Don’t worry about him now! Just get to the portal!” He said, racing towards the shrine. Wizardmon quickly pushed the door open and went inside, closing the door behind them as Barbamon continued to follow them. “Go!” He exclaimed, holding the door. “What about you?! He could destroy you!” Kimimon exclaimed, staring at her friend. “Don’t worry about me. I’m going to try to hold him off until you’re inside.” He answered. Kimimon shook her head. “No! No, no! Come with me!” She exclaimed, her eyes welling with tears. “You’re my best friend. Please don’t do this just to help me!” She cried, as the doors suddenly burst open, knocking Wizardmon back. “I won’t let you enter that portal!” Barbamon exclaimed, aiming his staff at her. “Crimson Flame!” A powerful flame shot from his staff. Wizardmon quickly stood in front of it. “No!” Kimimon cried. “Sunshine Barrier!” A yellow and white barrier suddenly formed around Wizardmon. “What? !” Barbamon exclaimed, seeing that it defused his attack. “Promise me you won’t die first!” She cried. Wizardmon looked back at her and nodded. “I promise.” He said as she smiled, quickly running towards the portal, arranging the stone cards in the right order as quickly as she could, while Wizardmon fought to protect her. Finishing the card arrangement, the portal quickly opened. “Wizardmon! Remember, you promised!” She called before quickly running into the portal as Wizardmon continued to fight. “Hey Takashi, what's wrong with your digivice?” A girl asked. “Huh?” Takashi questioned as he stared at it before picking it up. Takashi's digivice was white and gold with a silver screen and a teal ring. “What's going on?” He asked himself, as the digivice shimmered in his hand then suddenly shot a bright light out the window. Everyone at the table stared in awe. “Um, what just happened?” A boy asked as Takashi stared at the screen. “Hey Takashi, who is that?” The girl beside him asked, looking at his Digivice as well. “I'm not sure.” He answered before walking to his car and driving off, following the light. “Takashi wait! YOU CAN'T JUST LEAVE US HERE!” The girl exclaimed as she growled. The two boys stared at her and laughed nervously. “Let's go follow him.” She said as she hopped into her car with them and followed behind him. The bright light led Takashi to the outskirts of town and into an alleyway where he saw a young girl adorned in white, laying on a trash bag near the dumpster. Quickly he put his Digivice away and ran towards her, lifting her up carefully. “Hey, wake up.” He said, but the girl didn't respond. “Wake up!” He exclaimed, placing his ear to her mouth. 'Good, she's still breathing.' He thought. As he held her, Takashi's Digivice began to glow, as did the necklace the girl had on, causing it to lift off her neck so that Takashi could see it more clearly. Curious, Takashi reached out and placed his hand under the crest, causing it to drop. “What's this?” He asked as Kimimon began to stir, her eyes slowly beginning to open. “W-who are you?” She asked softly as she tried to sit up, only to wince and fall back. “Hey, don't move so much!” Takashi exclaimed, lifting her up and placing her on his leg. “What's your name?” He asked. “Kimimon.” She answered, looking him over. “Are... are you... a hu... man?” Kimimon asked curiously as Takashi nodded. “So, I made it then?” She wondered as Takashi nodded once more. A sigh of relief escaped Kimimon's lips as she looked up at the sky. “Thank you Wizardmon. Without you, I do not know if I could have passed through unscatched.” She whispered. “Wizardmon?” Takashi asked as Kimimon suddenly fainted. “Hey whoa! Are you alright?! Hey!” Takashi called, almost panicking until he placed his ear to her mouth again then listened to her heartbeat, a sigh of relief escaped his lips, as a car pulled up beside his. “Hey Takashi!” The girl from before called as she stood in front of the alleyway entrance with her hands on her hips. “What's with you leaving us like that? !” She asked as Takashi chuckled and lifted Kimimon up gently. “Sorry about that Minako. I don't know what came over me.” He answered, walking towards her. “Wait a minute, who's she?” Minako asked as the boys crowded around them. “She said her name's Kimimon.” Takashi answered. “Kimimon?” The boy beside him asked curiously. “So, does that mean she's one of them?” He asked as Takashi looked Kimimon over. “It sure seems like it.” He answered as the boys stared at her in awe. Kimimon had brown fur with cream colored spots on her shoulders and thighs, her ears were cream colored with a brown tip, and her tail was cat-like, holding the same pattern as her ears. She was of average build but shapely, with long black hair that reached her back and stood at 3'4, her face somewhat flat with a small button nose, adorned in what looked like a white Grecian dress. “Hey, what's this?” The other boy asked, reaching up and gently tapping the necklace. “I'm not sure, it looks like some kind of crest.” Minako added as she tilted her head, trying to see the symbol in the middle of it. “I can't tell what kind it is though.” She told them. “Where do you think she came from?” The first boy asked. “I'm guessing the Digital World but, how she got here... I'm not sure. She said something about Wizardmon and then, she just fainted.” Takashi explained as Kimimon groaned softly and seemed to snuggle into him. “I think she likes you Takashi.” Minako said as she giggled. “Hey, cut it out! You don't even know if she's MY partner or someone elses.” Takashi said, mumbling the last part. “Well, we could take her back to Headquarters and see if they can find out who she might belong to.” The second young boy suggested as the others nodded. “It's better than just leaving her here alone.” Minako agreed as she walked back to her car, while Takashi returned to his; laying Kimimon in the backseat. Before sitting in the driver's seat, he took out his Digivice iC and stared at it before placing it near the crest around Kimimon's neck. It only took a moment for it to react. 'There's no way she's my partner. I'm too old to be a Tamer, aren't I?' He thought, shaking his head as he drove off. Reaching the DATS Headquarters, Takashi and Minako got out then headed inside with the two boys following behind them. “We're here to see Commander Takamoto.” Takashi said to the desk clerk. “He's in his office working on some papers. I'll buzz you in.” She said as Takashi nodded and headed into the Commander's office. “Ah Takashi, you wanted to see me?” The Commander asked as he stopped in his tracks and stared at the girl in his arms. “Is that a Digimon?” He asked, seeming almost surprised. Takashi nodded and set her down on the couch. “I found her in an alleyway on the way here.” He explained as Minako spoke up. “She doesn’t seem to have a Tamer, so I suggested that we bring her to you so you could see who she might belong to.” She told him. Commander Takamoto walked over to Kimimon and looked her over, gently lifting her off the couch so he could get a better look at her. He was slightly astonished. Noticing the crest, Takamoto lifted it off her neck and held it up to the light. “A crest, I haven't seen one of these in a LONG time.” He said as he twisted it every which way, trying to make out the symbol. “Takashi, can you see what's in the middle of it?” He asked, handing it to him to examine. Takashi took the crest from him and held it up to the light. “It looks like two angels holding up a sword.” He answered, handing it back to him. The Commander smirked. “Minako, can you see it?” He asked, handing the crest to her now. “Not too clearly. It looks blank to me.” She answered, handing it back. “What about you two?” He asked, handing the crest to the boys, immediately they both shook their heads. “Hmm...” The commander pondered, turning to Takashi who was watching them. “Takashi, may I hold your Digivice?” He asked as Takashi took it out of his pocket and handed it to him. Studying the crest a little longer, Takamoto ran it along the top of the Digivice and it immediately reacted. “Congratulations Takashi, this Digimon belongs to you.” The Commander said as Takashi stared in disbelief. “This has to be some kind of mistake!” He exclaimed immediately. “This girl can't POSSIBLY be my Partner!” He said as Minako stared at him. “I REFUSE to accept her as my partner!” Takashi exclaimed as he left the room, slamming the door behind him. “Takashi! Takashi wait! YOU CAN'T JUST LEAVE HER HERE ALONE! TAKASHI! TAKASHI GET BACK HERE!” Minako exclaimed as she followed him. “Did I... do something wrong?” Kimimon asked as she looked at the Commander, sadness in her eyes. “Should I... should I leave?” She asked, purring softly as her tail swayed behind her. “No, you can stay. Takashi just needs some time alone. I'm sure he'll come this senses eventually.” He informed her as she nodded. “What am I to do until then?” She asked, staring at her crest. “Until then, why not rest up a bit. I'm sure it took you awhile to get here.” He suggested as Kimimon sighed and shook her head. “Thank you but... I am not really that tired.” She said as she stood up and headed out the door. “Takashi, wait up!” Minako called as she grabbed his arm. “Why are you suddenly acting like this? !” She exclaimed. “What's gotten into you!? Haven't you always wanted a Digimon for a Partner? !” She asked as Takashi glared at the wall. “Takashi, answer me!” She exclaimed. “Then why not just ASK her?! I'm sure she'll answer you! Hell, she might just SHOW you if you DID ask her!” Minako suggested as she shook her head. “Come on Takashi, you can't keep borrowing Digimon that we find and hatch. “ Just look at Damon and Agumon, I'm sure he was just like you when he got his first Digipartner, but he got used to having him around and now, they're the strongest team who have ever worked here.” She explained shaking her head again. “At least give having a partner digimon a chance before you just throw it away. I'm sure she came here for a reason.” She continued. “You can't really be so heartless that you send her away without even TRYING to see why she came here, can you?” She asked, looking at Takashi sympathetically. “Yeah but Minako, Damon's still a kid... I just...” Takashi sighed. “I just have to think about it first.” He said as he walked off then stopped short seeing Kimimon staring at him. “So, you do not wish to help me then?” She asked, her eyes welling with tears. “I understand. I will go see if someone else will help me. I'm sorry to have bothered you Takashi.” She told him as she quickly ran off. “Kimimon wait!” Takashi called, reaching out for her as Minako stared at him and shook her head before leaving. Takashi sighed heavily then quickly punched the wall. “Dammit.” He said softly as he placed his forehead on the wall. God he hated seeing girls cry, no matter what race they were. “I'm such an idiot.” He whispered to himself before stuffing his hands in his pockets and walking off in the opposite direction. Kimimon continued to run through the streets until she came to the outskirts of town. Panting softly, she stopped and leaned against a nearby wall before sliding down it and tucking her knees to her chest. “Maybe it wasn't such a good idea to come here seeking aid after all.” She said to herself as she sniffled and buried her head in her knees. Kimimon stood and looked around. “Wait... where am I?” She wondered. It didn't look like she was in town anymore, but in a forest. “Kimimon?” A familiar voice called from behind. “Wizardmon?” She asked as she turned around, smiling widely. “Oh thank goodness you're alright!” She exclaimed as she ran over to him and hugged him tight. “Kimimon, I was so worried. Are you alright? Did you make it to Earth okay?” He asked as she nodded. “Yes, but I don't think it was the best choice.” She said as she wiped her eyes. “But wait, I don't understand. How did you get here? The portal closed, did it not?” She asked, tilting her head. Before Wizardmon could answer, vines shot from behind and wrapped tightly around her, pulling her back. “Wizardmon, help me!” She cried, reaching out for him. Kimimon was still being dragged, the vines wrapping tightly around her arms now, causing her to struggle. “My my... what have we here?” A crackly voice asked from the sudden mist that had surrounded the area. “Looks like we caught ourselves a kitty cat.” The person said as he came into view. “Who are you?! Let go of me!” Kimimon exclaimed as she continued to struggle, the vines only gripping her tighter. “Ah, ah, ah... it's not a good idea to struggle, kitty cat.” The person said. The creature didn't look human however, it looked as if it were wearing some kind of navy blue, full body outfit that didn't cover half of it's face. Around it's neck was a red scarf, and on it's chest was a grinning smiley face, on it's hands were red gloves. “Badda-Boom!” The creature exclaimed as it created a small fire ball on it's fingertips then quickly hurled it at Kimimon who cried out in pain, the vines still holding her. 'If only I could just... get... free.' Kimimon thought, as she tried to slide out of Cherrymon's grasp. “Badda-Boom!” Another fireball was hurled at her, and when it hit, Cherrymon's vines swung from side to side, tossing Kimimon into a nearby tree, or at least, she thought it was a tree. “Oh, Biyomon...I just don't understand why Takashi's so afraid of having a partner. I thought he would have at least been kind of happy, you know?” Minako said, laying on her bed with a pillow tucked under her. “Maybe he's scared that he won't be able to take care of her?” She suggested. “Maybe, I never thought of it that way.” She said as a sudden loud boom was heard outside her window. “What the heck was that? !” She exclaimed, scrambling to her window, another loud boom was heard soon after. “Minako!” A little boy called, running into her room. “Do you hear that?! It sounds like a bomb!” He exclaimed as Biyomon went to the window. “Minako, I think something's wrong.” She said as Minako nodded. “Go back to you room Shiro, I'll be alright. Take care of Poyomon. You're not old enough to fight yet.” She informed him as he nodded and ran back to his room. On the way out the door, she quickly grabbed her Digivice and contacted Takashi. “Come on Takashi, answer!” She exclaimed, her teeth slightly gritted as she stared at the screen. Hearing his Digivice beeping, Takashi took it out his pocket and answered. “Takashi! Oh thank goodness you answered! Biyomon and I think something's wrong! We heard this loud noise outside and, we don't know what it is but it sounds like there's a fight going on somewhere nearby.” She explained. Takashi stared at the screen. 'Who could be fighting outside of town?' He wondered, his eyes suddenly widening, another even louder boom echoed throughout the city. “It couldn't be...” He said suddenly. “Hey Minako!” A male called. “Are you going to investigate that loud noise too?” He asked as Minako nodded. “Good, we're coming with you. Come on Patamon.” The boy said as he and his Patamon ran beside Minako and Biyomon. “Minako, meet me at the outskirts of town, I think Kimimon's in trouble.” Takashi instructed. “Got it.” She said before hanging up. 'Dammit! Why didn't I follow her when I had the chance?!' He wondered as he ran as fast as he could, quickly hopping into his car and driving off in the direction of the fight. “Sunburst Spike!” Kimimon exclaimed as a spear of orange and yellow light shot from her hands towards Impmon. Quickly, she dodged another vine attack from Cherrymon. “I won't let you get away!” Impmon exclaimed, sending another fire blast hurtling towards her. Kimimon barely dodged it, “And I won't let you catch me again.” She said. “Sunlit Burst!” She cried, sending a blast of yellow and orange fire towards Impmon before sending another at Cherrymon, making contact with them both and knocking them back. While they were down, Kimimon quickly jumped back and pushed herself off the wall, a pair of white wings appearing on her back, a sword in her hand. “This is the end!” She exclaimed. “Diabolic Star!” A haunting voice exclaimed, as a sudden wave of dark energy hit her, slamming her into a nearby wall. “About time you got here!” Impmon exclaimed as he stood up and dusted himself off, before walking over to Cherrymon and helping him up. “Now, where were we?” Impmon asked as Cherrymon quickly used vine attack once more and trapped Kimimon, who once again tried to break free. “I will NOT let you defeat me!” She exclaimed, digging her teeth into Cherrymon's vines, causing him to cry out in pain. She then quickly charged at Impmon, her wings and sword appearing once more. “Badda-Boom!” Phantomon and Impmon both exclaimed as their attacks were hurled towards her. Kimimon managed to dodge Phantomon's attack but was immediately hit by Impmon's attack, knocking her to the ground. “Kimimon!” Minako cried as she watched her fall to the ground. “Biyomon, use Spiral Twister!” Minako ordered as Biyomon unleashed her attack, a green spiral of magic flying towards them both. “Boom Bubble!” Patamon called as a bubble blast was launched towards the two. “Blue Blaster!” Another voice called as a blast of blue ice-like flames shot towards Cherrymon. “Kimimon! Get up!” Minako cried, but Kimimon didn't hear her. “Kimimon!” She screamed, trying again and still no answer. “Kimimon!” A male voice called from behind the group. “Takashi!” Minako cried as he ran towards them. “Where is she? !” He asked as Minako pointed at her lying on the ground. “She was fighting them off but they overwhelmed her. She's not getting up now.” She explained. 'Ta-kashi? Is... here?' Kimimon thought, slowly opening her eyes, her ears twitching slightly as she heard him calling for her. 'But I don't understand, why is he here if... he did not wish... to... help me?' She wondered, hear ears twitching more as she heard Takashi screaming for her to try and get up. With all her strength, Kimimon slowly tried to stand up, stumbling slightly as the other three digimon continued to fire on the wild digimon who had attacked her. “Vine attack!” Cherrymon called, his vines once again lashing out at Kimimon and knocking her back. “Takashi help her! We'll hold off the others! Just help her digivolve!” Minako exclaimed as she looked at him. “She can't digivolve on her own!” She told him as Takashi nodded. “D.N.A Charge!” Takashi shouted as his hand began to glow, placing it behind the Digivice, causing the screen to shine a brilliant white. Kimimon suddenly found herself engulfed in a gentle white light, a soft gasp escaping her lips as her back arched, letting the light envelope her. 'Yes, I can feel the power coursing through me. I can defeat them!' She thought as she began to float in the air. “Kimimon, Digivolve to...Celestmon!” As the white light enveloped her, Kimimon's form began to change. She had become taller in scale, a larger pair of white wings had formed upon her back, her ears and tail were the same, but her fur had seemed to disappear. Her hands and feet had become larger, as if she were wearing a pair of large cat paw gloves, and around her eyes was a blindfold. The other Tamers stared in awe at Kimimon's new form. “Now, you will pay for what you have done.” Celestmon said, her voice seeming to slightly echo as she spoke. The three digimon began to cower. “Wait...we...we can work this out!” Impmon said, trying to reason with her. “It is too late for you now.” She told him. “Celestial Burst!” She exclaimed as she charged the three and quickly slashed at them, jumping back and firing a blast of golden light at them, destroying them instantly and reverting them back to their egg-like forms. Soon after the three digimon were destroyed, Celestmon began to fall. “Kimimon!” Takashi called as he immediately sprang forward and ran towards her, sliding under her and catching her in his arms, quickly rolling and stopping himself before hitting a nearby wall. The illusion was gone. Minako and the others quickly ran towards them. “Back up! Give them some air!” A male called, pushing everyone back as Takashi held Kimimon close to him. “Is she alright? !” Minako asked, as Takashi nodded. “Oh thank goodness.” Minako said, as everyone heaved a sigh of relief. “She looks pretty beat up. Maybe you should take her to the Clinic Takashi.” A male suggested. “I'm taking her home. My mom's a doctor. It's better than spending money to get her treated by a clinic. Plus, it's too far away. My house isn't that far from this area, so taking her home is faster.” He explained as he hurried to his car, getting in with Kimimon in his lap. “Oh my goodness, what happened to her?” She asked as her husband followed behind her. “Honey, go get my first aid kit. Takashi, you go in the living room and wait until I'm done. I need to concentrate.” She said, gently lifting Kimimon up and heading upstairs with her husband. While his parents worked on Kimimon upstairs, Takashi sat in the living room staring at his digivice. “Takashi?” A voice called from behind the door. “Minako?” He asked as she nodded. “Yeah, we kind of followed you.” She said, opening the door for the other three Tamers to peek in and wave before stepping in, making sure to take off their shoes. “Hey man, is she going to be alright?” A boy asked as Takashi sighed. “I'm sure she'll be fine. Mom and dad are tending to her upstairs.” He replied as everyone and their Digimon came in and sat down. “You were really brave out there.” Minako complimented as Takashi stared at her. “I'm always brave.” He replied, chuckling slightly. Minako placed her hand on his shoulder, drawing his attention away from his digivice for a moment. “Don't beat yourself up, you just needed time to think. I'm sure she'll forgive you. I know I have.” She told him as Takashi shook his head. “Takashi, you can't be serious! YOU SAVED HER LIFE BACK THERE! You saved her life and you STILL don't want to help her! ?” Minako exclaimed as she stared at him, anger evident in her eyes. “How heartless are you!? She could have died had you not helped her! At least give her a chance! Did you not see what she digivolved into with your help?! She took down three wild Digimon that not even our Digimon together could take down alone! With ONE shot! Don't DO this to her now!” Minako exclaimed as the others stared at them. “Your friend is right Takashi.” His father said as he stood in the doorway, leaning against the frame. “If that girl in there is your partner, you have to take care of her until she's ready to return home. You joined DATS for a reason, don't give up on your destiny now son.” The older male said. “I know that but...what am I supposed to do?” He asked. “You already did what you had to do.” One of the boys answered. “You proved to yourself and to her that you're a capable Tamer. We all have partners, and we felt the same way you did when we first found ours, but we got through it. And we know you can too.” The boy reassured as Takashi nodded. “You just have to train and become stronger. Both of you do. Don't worry about what you have to do now, it'll come naturally the more you two hang out!” Patamon said as he nodded. “Me and Ino are bestest friends now. We do almost everything together and we both practice as much as we can to become even stronger.” He told Takashi as Ino nodded and patted Patamon's head. “Stop being such a wuss Takashi, and live up to your new responsibility. If you ever need help, just come and ask one of us. We're your friends, we'd gladly help you if you just asked us.” Ino said as the others nodded. “That's true, you can ask us whatever you want and we'll help you as best we can.” Minako said, winking at him. “Takashi?” His mother called from the doorway. “You can go see her now.” She said as Takashi nodded. “She's in your room on the bed. We don't have a room for her yet so, she'll have to sleep in there for a while.” She informed him. “Thanks mom.” He said, heading upstairs to his room. “Are you guys staying for dinner?” She asked Minako and the others who laughed nervously. Entering his room, Takashi noticed Kimimon lying on his bed, wrapped from head to toe. “Why did you come back to help me?” She asked. “You did not want to at first, so why bother returning to save me from those wild Digimon? I could have handled them myself.” She said. “Not from where I was standing.” Takashi replied as Kimimon hmphed. “Look, I'm sorry for what I said back at the DATS headquarters. You are my first real Partner, I wasn't sure if I could take care of you.” He explained. “Why would you worry about something like that?” She asked, looking at him. Takashi had shoulder length black hair and silver, almond-shaped eyes. His skin was slightly tanned and his build was slightly muscular. He looked to be about 5'8 in height, wearing a white shirt and blue jeans. “I heard that human males don't worry about such trivial things such as responsibility.” She informed him. Takashi laughed. “Some don't but others do.” He told her. “But look, I'm sorry for all of this. If I had come sooner...if I had agreed to help you in the first place, you wouldn't be so beat up.” He apologized. Kimimon giggled, “Oh stop, they are just minor bruises. I will be fine. The nice woman said so.” She told him as she shook her head.”There is nothing to be sorry about. You redeemed yourself by coming back for me, and for that I am grateful.” She informed him. “If you still do not wish to help me, even after this, I will understand.” She said, waiting for his reply. “We're partners now.” He said, gently patting her arm. “I'll take full responsibility and help you grow.” Takashi said as he smiled. Kimimon smiled as well and her tail swayed softly, “Thank you Takashi. I appreciate it. I need all the help I can get. I cannot do this alone.” She told him as she fell asleep. It's a fanfic about digimons. Hehe, Kimimon is an OC that a very good friend of mines helped me create. Eventually there will be romance. *nod nods* Also, this is kinna set in the Data Squad world. An excellent read... And as I play DMO (Aeria Ignite. 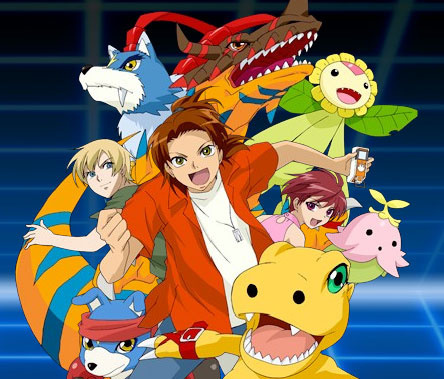 SERVERS.. not the main site) I find this very in tune with not only the game, but the Digimon Series as well. The wording is great and the story is flowing, yet engaging at the same time. Great job. Thank you so much! ^^ I'm so glad you liked it.